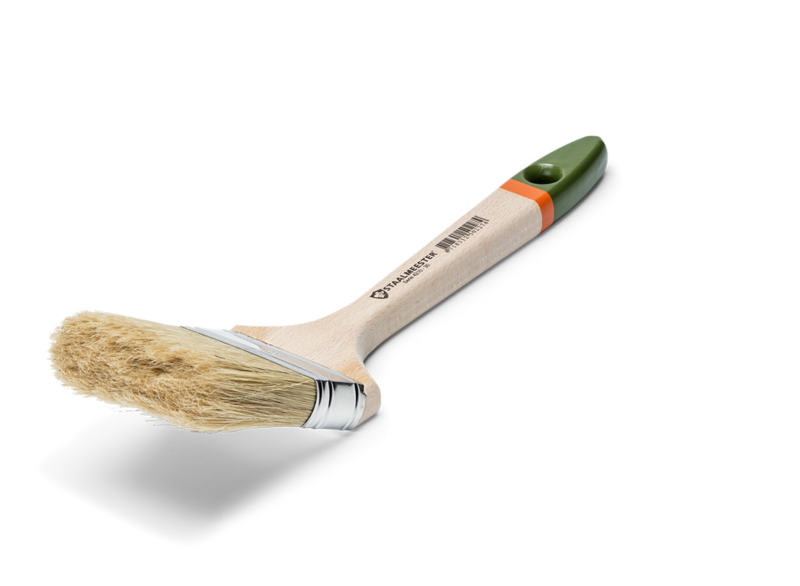 A double thick Façade brush with the Staalmeester® synthetic blend. This brush with its characteristic, coloured polyester blend has a stainless steel ferrule and a 35 cm long uncoated beechwood shaft. It has a bended head to help reach difficult areas and is suitable for both water-based and new generation VOC paints. 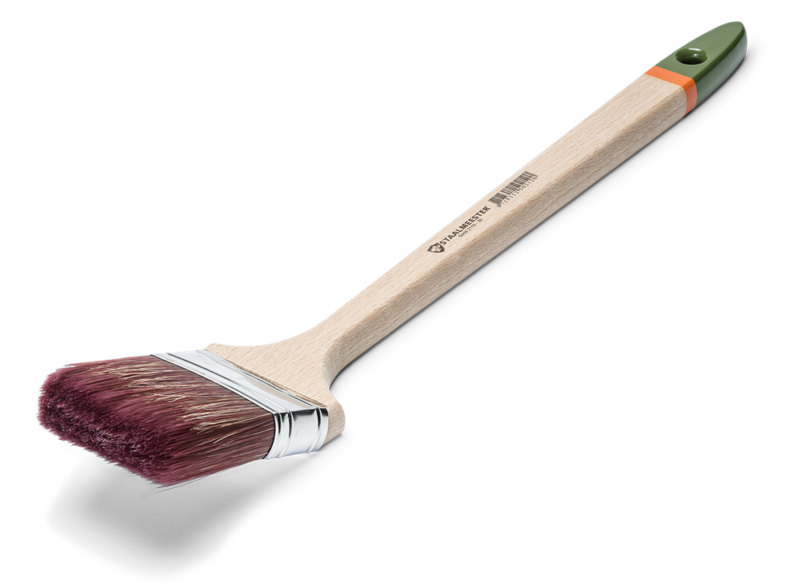 A double thick Façade brush with the Staalmeester® synthetic blend. This brush with its characteristic, coloured polyester blend has a stainless steel ferrule and a shortened 20 cm long uncoated beechwood shaft. A bended head to help reach difficult areas. 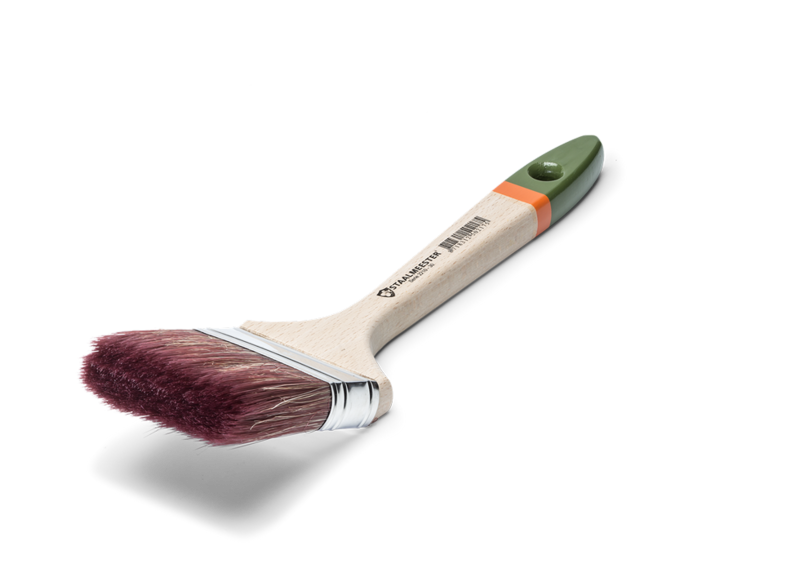 This versatile brush is suitable for both water-based and low VOC paints. A double thick Façade brush with high-quality, triple-boiled white China bristles. This brush is produced for professionals who demand a high quality product. Features a stainless steel ferrule and a 35 cm long uncoated beechwood shaft. A bended head to help reach difficult areas. This versatile brush is suitable for both latex and new generation VOC paints. A double thick Façade brush with high-quality, triple-boiled white China bristles. This brush is produced for the professional who demands a high quality product. Features a stainless steel ferrule and a shortened 20 cm long uncoated beechwood handle with a bended head to help reach difficult areas. This versatile brush is suitable for both latex and synthetic Low-VOC paints. A double thick Façade brush with high-quality, triple-boiled black China bristles. This brush is produced for professionals who demand a high-quality product. In the recognisable Staalmeester® style with a stainless steel ferrule and 35 cm long uncoated beechwood shaft. Feautures a bended head to help reach difficult areas. 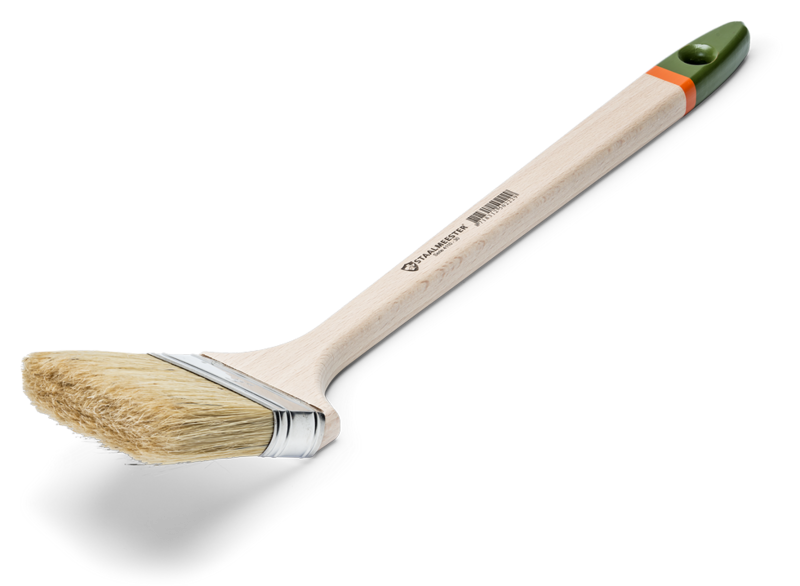 This versatile brush is suitable for both latex and synthetic Low-VOC paints. 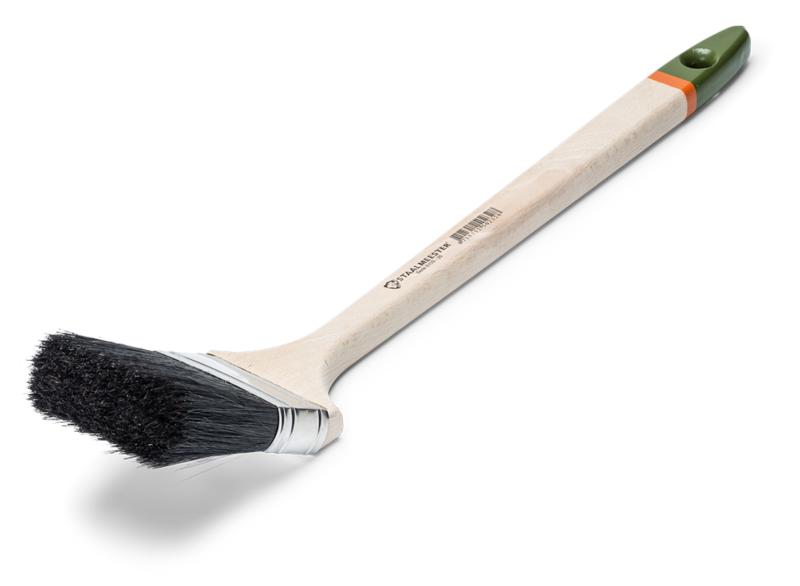 A double thick Façade brush with high-quality, triple-boiled black China bristles. This brush is produced for professionals who demand a high-quality product. Features a stainless steel ferrule and a shortend 20 cm long uncoated beechwood shaft and a bended head to help reach difficult areas. This versatile brush is suitable for both latex and synthetic Low-VOC paints.